Operations managers report that when new workers are exposed to the latest mobile voice technologies, there is vastly higher job satisfaction and employee retention, while immediately increasing their value to new employers. Unlike the costly legacy voice-directed solutions of the early 2000’s, progressive organizations embracing newer voice-enabled tools are empowered immediately for use and deployment. At the shop floor or picking station agility allows for dynamic changes, development of training modules, as well as voice empowered applications both inside and outside the four walls of the operation. Employee engagement and retention are enhanced as new voice solutions attract newer, younger employees with cutting-edge technologies. Automated mobile voice applications offer a compelling catalyst for growth and fun user experiences. Innovative voice technology has altered dramatically over the past few years. The demand is great whether in the manufacturing, industrial, retail, or distribution space. One of the greatest impacts of automating with new mobile voice technology is the ability to decrease the ramp-up time required for temporary and seasonal staff. Retailers and distribution centers experience an impressive sixty (60) percent reduction in training-time for new and seasonal warehouse employees after installing new automated voice solutions. Just a few years ago with high unemployment, in lieu of automation, the answer was to hire more labor. The average hourly wages of warehouse workers has doubled in the past four years to more than $20 per hour in many major markets. The result is high turnover, frequent training and re-training; this is why new mobile voice automation is a critical link to resolving the challenges of the labor shortages. In the old voice technology process, a new employee needed to shadow an experienced employee to understand the intricacies of an organization’s workflow. Totally antithetical to lean manufacturing, this process reduced the efficiency of the trainer’s work as well as consuming weeks, and even months to get the new worker close to acceptable output rates. As the busy holiday season approaches, it is nearly impossible to employ seasonal employees now, especially for distribution centers with high-volume picks, turns, and SKUs. The new mobile voice technology automation allows new hires to achieve full throughput and optimal picking in one week or less. Because the new younger workforce is mobile savvy they are adept and are able to quickly immerse themselves into every organizations' unique internal process flow, while simultaneously teaching them to utilize new mobile technologies. Manufacturing operations executives are proactively seeking a strategic advantage by voice enabling existing processes. Speech-enabled work automation and optimization brings critical bottom-line benefits to industrial best-practices. Since new workers are trained by technology, not other highly experienced employees, the existing experienced worker is fully productive focus on their job’s responsibilities. Operations managers report that when new workers are exposed to the latest mobile voice technologies, there is vastly higher job satisfaction and employee retention, while immediately increasing their value to new employers. Employees are more engaged since a speech-enabled training mode speeds verbal response. The ability to ask questions during the workflow can be automated. This level of voice integration with existing applications significantly accelerates the learning curve and supports the new employee in attaining an optimal work rate in days and weeks, rather than weeks and months. 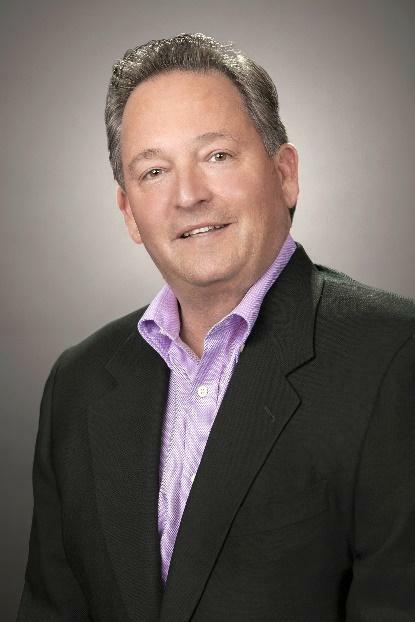 Robert Bova has served as the President and CEO of AccuSpeechMobile for 12 years, successfully introducing the innovative AccuSpeechMobile voice solution to the marketplace from the company’s early years, to today, the fastest growing mobile workforce voice productivity company. Bova works closely with the leadership of a growing number of fortune class customers, understanding customer objectives, and with the internal team and solution, help customers further optimize business processes and mobile operations. He has a successful track record surpassing corporate goals with special competence in entrepreneurial, start-up, rapid growth, M & A and public companies. At U.S. Bank/Oliver Allen Corporation, he created the Secure Networking Division and grew it to over $12 million, and at the ISG division (SSL Technology) at Rainbow Technologies, he grew the business operations from zero to $56 million. Bova holds an MBA in Marketing from National University and a BA from Syracuse University.